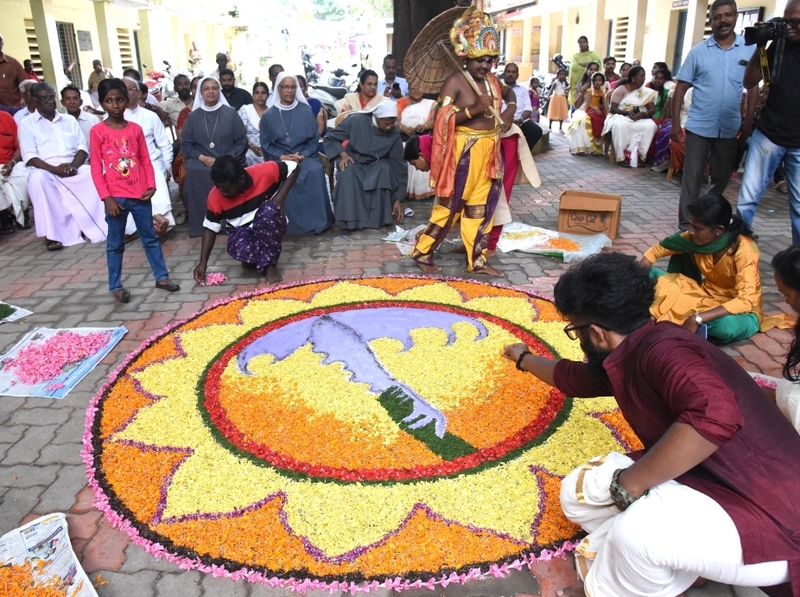 Survivors of Kerala’s worst floods in a century on Saturday set aside their misery, even if only temporarily, to celebrate Onam in numerous relief camps across the state, relishing the traditional Onam “sadya” or lunch. The second day of the harvest festival, called Thiru Onam, fell on Saturday. Camp officers ensured availability of vegetables and other commodities after men and women in the camps insisted they would cook the sadya themselves instead of accepting what was being offered by NGOs and clubs. Of course, not all the 26 dishes that constitute the sadya could be readied but people appeared to be happy with what they could prepare. State Ministers, Leader of Opposition Ramesh Chennithala, superstar Mammootty and hugely popular singer KS Chithra were among those who had the sadya with the people in various camps across the state. Children managed to gather whatever flowers were available in and around the camp sites to prepare floral carpets. Ever since monsoon rains began lashing Kerala on 29 May, a total of 417 people have died. This month, unprecedented floods caused widespread destruction and forced more than a million people to flee their homes to take shelter in relief centres. Kerala Chief Minister Pinarayi Vijayan on Saturday evening said over 6.05 lakh people are still sheltered in 1,822 camps, big and small. “We refused a sponsored Onam sadya. 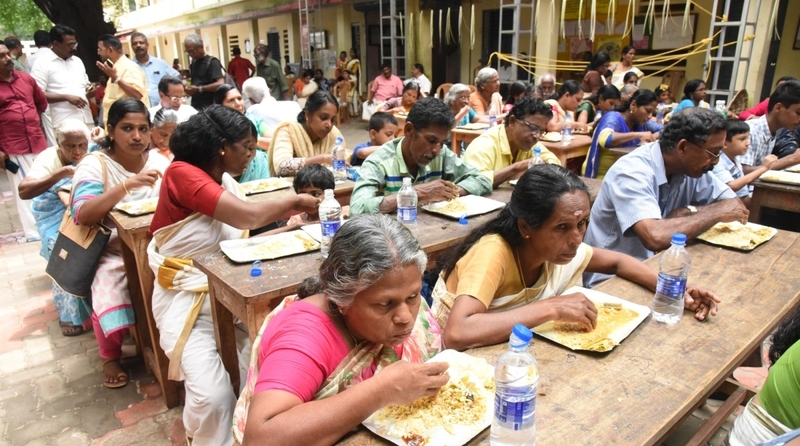 Our own lunch turned out to be a huge success,” said Parvathy, a middle-aged woman who has been in a camp in Alappuzha for the past five days. At a camp supported by a state-run engineering college, student volunteers joined the Onam celebrations. In Kottayam, residents of Aymenem and Kumarakom said the Onam sadya provided them huge relief after unending stories of human suffering. “The bonhomie lit up our lives especially when we prepared our own sadya,” said a woman who was getting ready to return to her home. Bringing solace to a relief camp in Kodungalloor on Saturday was superstar Mammootty, who urged everyone to keep a positive frame of mind. “You are going to rebuild your lives. Remember, many of you were saved by people who never knew you. Likewise, while a million people were affected by the floods, 30 million Keralites were not. Just like you were saved by unknown people, similar unknown people from across Kerala will come to your rescue when you rebuild your lives. 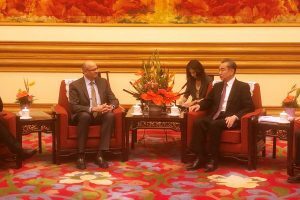 “Also, the Kerala government is there with you. Just be positive,” he said and served lunch at the camp and then had his lunch too. At a relief camp in Alappuzha, state Finance Minister Thomas Isaac, along with Chitra, shared the table where Issac said in the next few days, an army of people are going to see that each and every house in Kuttanadu is set right and the people in these camps are put back in their homes. Chitra sang a song and said that this sort of oneness at a time by the very people who have suffered so much is something that shows how people have faced their tragedy. State PWD Minister G Sudhakaran while sharing the table at a camp run by Sree Narayana Dharma Paripalana (SNDP) general secretary Vellapali Natesan said this sort of bonhomie is the first step to rebuild Kerala and it will be done. Chennithala had his lunch at a camp in a college near Haripad, while state Health Minister KK Shailaja had hers at a relief camp in Wayanad.